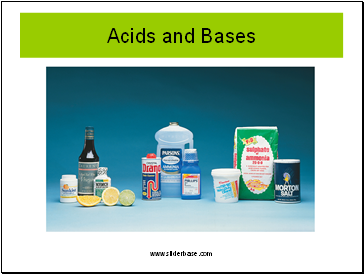 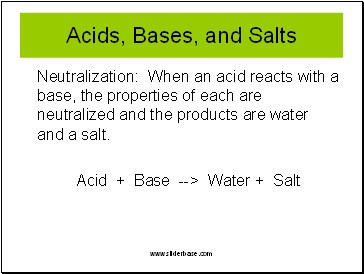 Neutralization: When an acid reacts with a base, the properties of each are neutralized and the products are water and a salt. 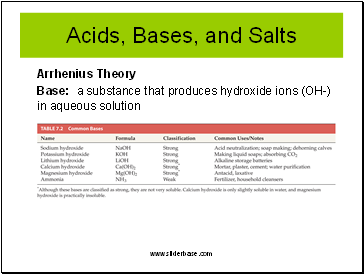 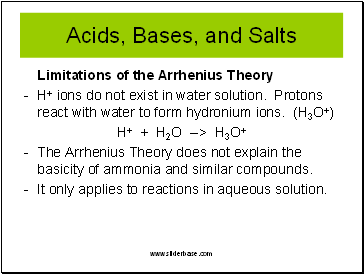 The Arrhenius Theory does not explain the basicity of ammonia and similar compounds. 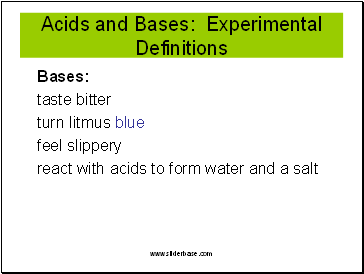 It only applies to reactions in aqueous solution. 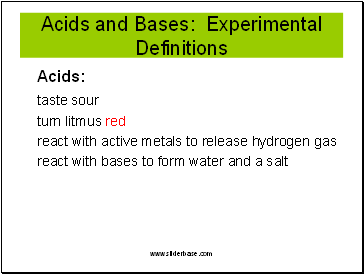 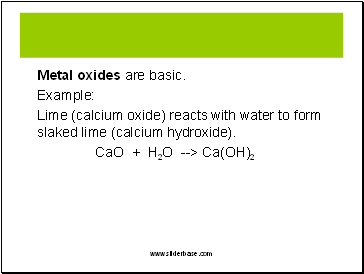 Lime (calcium oxide) reacts with water to form slaked lime (calcium hydroxide). 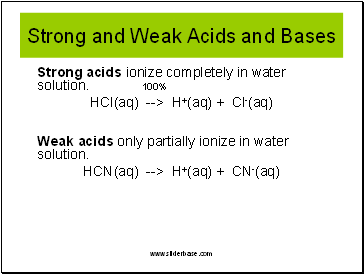 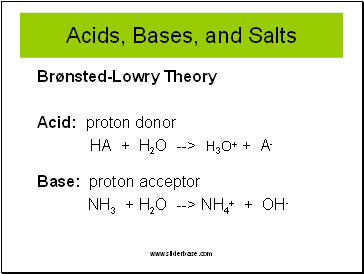 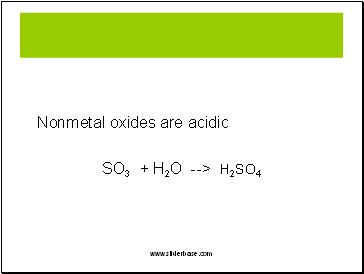 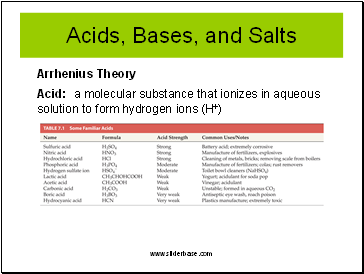 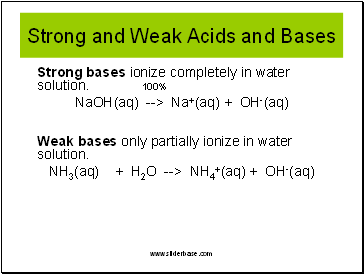 Weak acids only partially ionize in water solution.